The first summer I was about to spend with my then boyfriend, now husband, I was surprised to learn he had very few days of holiday available. I couldn’t figure out how, as he had, apart from a couple of weeks when he had been really sick in the flue, not taken any time off work that year. On the contrary, he had very high work ethics and he was very keen on showing his high level of commitment to his employer. After all, this was his first year and first job in Sweden, and he really wanted to make a good impression. In fact, this was the very reason for the lack of holidays. It turned out he had registered his sick days as holidays when completing his timesheets, afraid of exploiting the generous welfare system of Sweden. I have had another client who - far too late - learnt that she, in her role as manager - was supposed to have utvecklingssamtal (a form of performance review) with her employees, something that she completely missed.No person informed her. This was only one thing out of many that harmed her credibility, and that finally led to her resignation. I have had clients and friends missing to join the communal fika at work, instead trying to make a good impression working away as efficiently as they can, but instead giving the impression of not being part of the group, which is in fact your highest priority when being new to a Swedish workplace. And then, there is the milk. Hands up for everyone who has poured filmjölk into their coffee, in the belief that this is just another type of milk among dozen of others. For those of you who have not had this experience, filmjölk is a fermented dairy product, half way between milk and yoghurt, tangy in flavour and slightly grainy in texture. Entering a new workplace and navigating its internal politics can be daunting enough. Doing this in a new culture makes you particularly vulnerable. Not adhering to the social codes, using the wrong type of arguments when negotiating, or signalling your dedication to work in a way your colleagues don’t understand can lower your self-esteem and give a feeling of frustration. There are also the practical details. Most people coming to Sweden are aware of the celebration of Lucia, taking place on the 13th of December. There is plenty of information available on the ceremony in itself, but only Swedes are fully familiar with how this actually affects work and business culture. School celebrations normally take place early morning or late afternoon, meaning parents of small and big children will arrive later or leave earlier this day. This is not a good day to schedule meetings or deadlines! Although Sweden is a great place (I really believe so), Swedes are not the best at cultural self-awareness, and this often results in poor communication and information on how things actually function at a typical Swedish workplace. This is why we, Anne Pihl, a professional relocation consultant originating from Ireland and I, have put together our top 250 pieces of advice in our book Working in Sweden - The A-Z Guide. This is a practical and fun handbook in Swedish work culture. We have listed what is expected from you, and what you can expect from your co-workers and employers, practical life hacks used by Swedes (often related to the weather), and what dates you need to watch out for in the calendar. 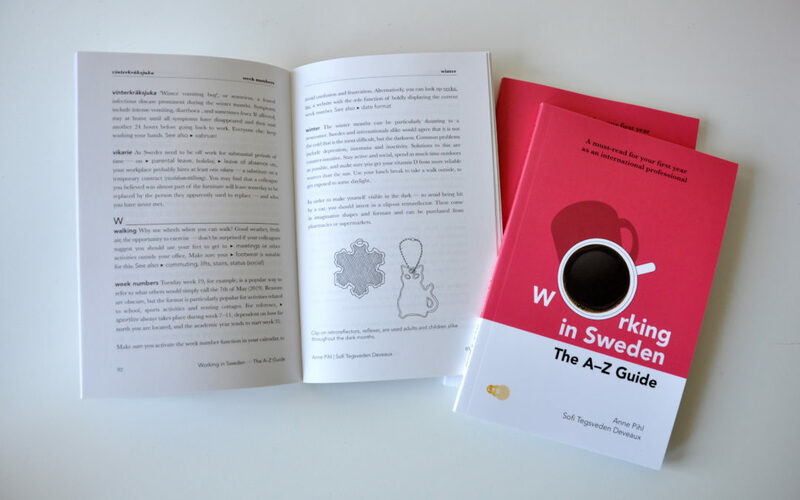 Working in Sweden - The A-Z Guide can be purchased from online retailers, such as Bokus, or directly through the publisher LYS läromedel.